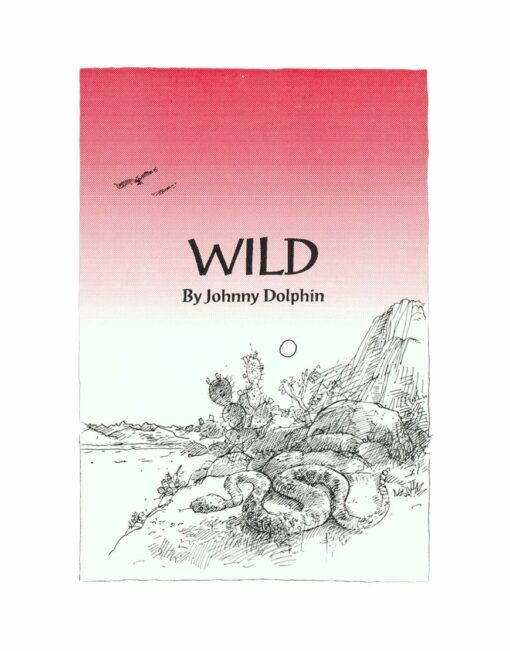 Wild, as the title suggests, is a celebration of all that is wild and free. The tree root that overturns the sidewalk (even though it destroys a kitchen drain); the crane that fishes what would have been a good catch for someone out of the pond, the alert coyote, the ready owl, the artist who can only be moved by passion and the scientist who writes only when there is something to say—all of these and more are exalted. The first section of WILD features poems that tell stories about animals that are wild, poems that reveal the ingredients necessary to be wild—“Nobody gonna attain wild / who didn’t make it free, / nobody gonna get free / without a fight…”—and even poems that offer information about what might be construed as being wild (rage, screaming) but is not really wild at all. In one poem (entitled “April 1991”), Dolphin compares himself to a coyote, saying that just as a coyote slinks into a hole when he is wounded, so too he slinks into poetry, which turns out to be the place where he is able to heal. The work here is healing for readers as well—for even most complaisant readers will be reawakened to the chilling potential for their own wildness. The second section of the book, Aphorisms, lists more than seven pages of small gems that guarantee to send any inquisitive mind off on a short (or possibly long) journey. Dolphin looks at life, death, society, emotion, luck, truth, freedom, humility, humiliation and more. These are the seductive thoughts of a very clear mind and it is almost impossible not to be lured by them to seek clarity as well. There are several short stories here as well, in the final section of the book, and they examine wildness through characterization. A seven-year old boy, for instance, must decide whether to risk a jump that could send him to his death so as to experience the emotional rush that he already understands to be a necessary part of a full life. These are stories of characters looking around them, at the physical and spiritual worlds, to see what is of value and what is not, often finding answers in surprising places.